This student guide will assist students with using the locked browser app for iPads during online testing. 1. 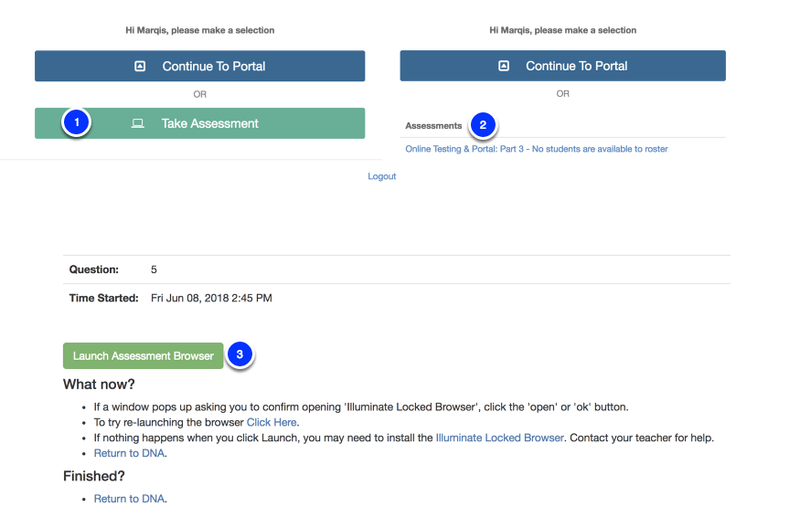 Log in to the portal and click Take Assessment. 2. Select your assigned assessment from the available list. 3. Choose Launch Assessment Browser. 4. You'll be prompted to Open in "LockDown"? Click Open. 5. Choose Yes to Confirm App Self-Lock. This will lock your iPad and launch the LockDown Browser app. 6. 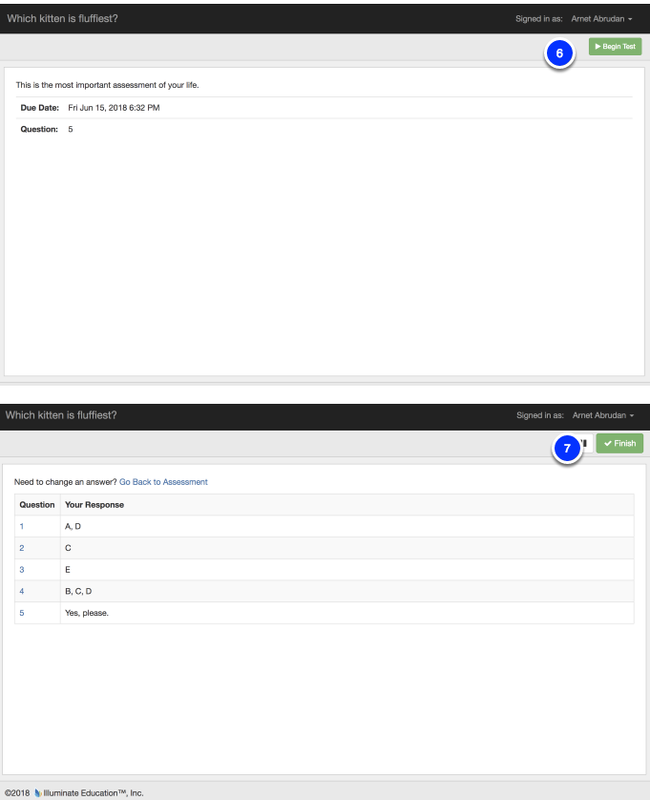 Choose Begin Test to open your assessment and complete the test. 7. Once you've answered the questions, you can Finish the test and hit the home button on your iPad to exit the LockDown Browser app. 1. 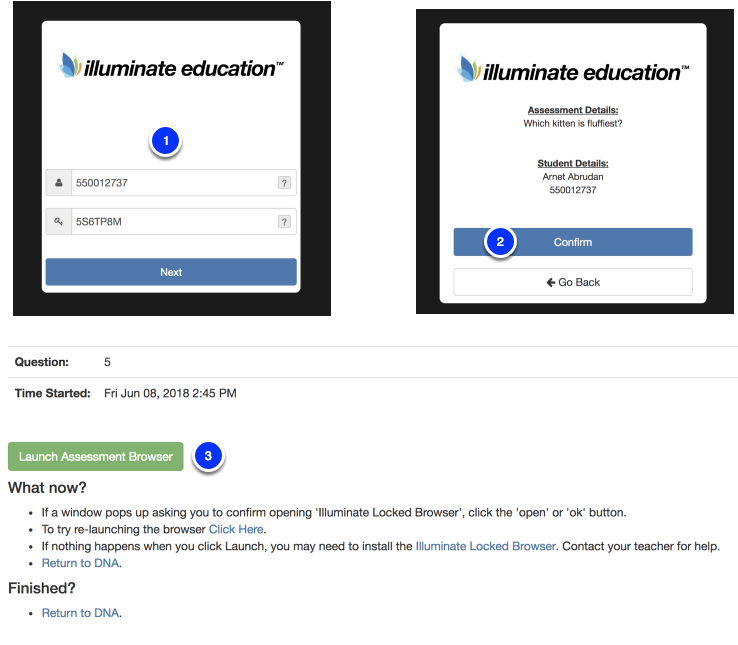 Navigate to illuminate.online. Enter your student ID, username, email address, or state student ID and the access code provided by your teacher. 2. Confirm the information on the screen. Need some help with Student Portal? Visit Student/Family Guide to get started.